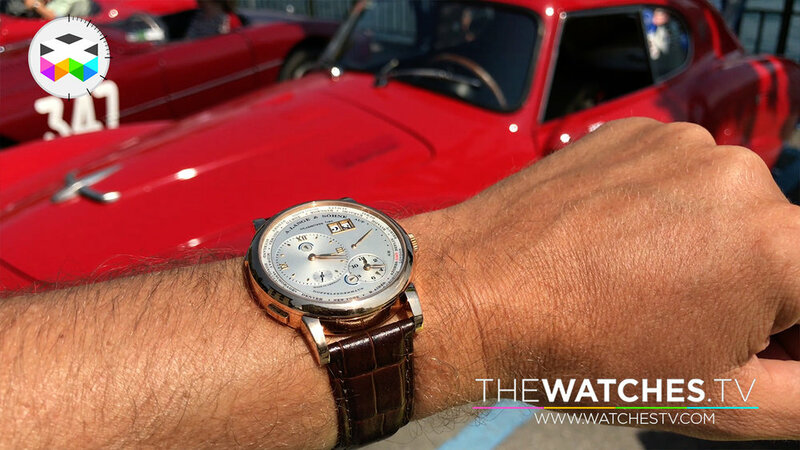 What a scenery to get up close and personal with the Lange 1 Time Zone as we got the nice privilege of driving our way to the beautiful Lake of Como, just up north of Milan, to assist at one of the most glamorous car related event in the world: the Concorso d'Eleganza Villa d'Este. This of course the perfect "testing ground" and we enjoyed every minute of it: wonderful setting, incredible cars and naturally plenty of nice watches to get close to! !